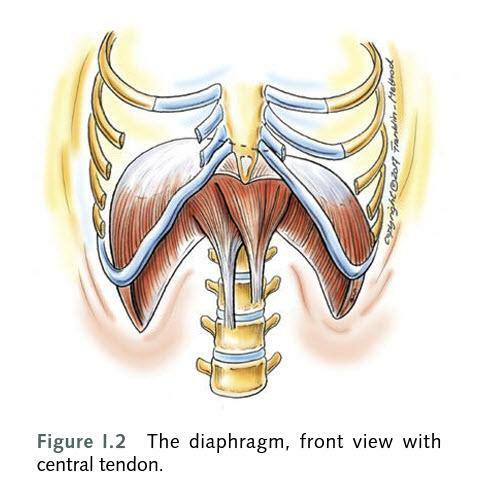 I was wondering if anybody could identify the core exercises from Foundations 1-4 (or any exercise for that matter) which have the greatest possible strengthening effect on the diaphragm muscle? The reason I ask. I have a relative who's breathing is kind of weak and the doctor recommended he look into ways of strengthening his diaphragm, which will in turn strengthen his breathing capacity. He was told that most of the respiratory muscles respond to principles of exercise training, acquiring physiological adaptations similar to others skeletal muscles. Only thing I could find was this website. I read somewhere on this forum that hollow body holds could help. Thanks. Any answer would be highly appreciated. Hi Jawanda, the primary problem on the low ability to use diaphragm is the diaphragm tightness. when I make a test for my clients, as their spine does not extend and/or twist the more the ability to breathe with the belly. 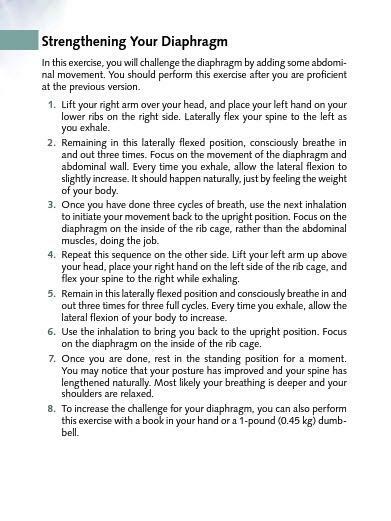 this means that restoring the spine range of movement is the first step to restore the diaphragm function. Can you provide more details like age, general health, what is the reason of his weak breathing?